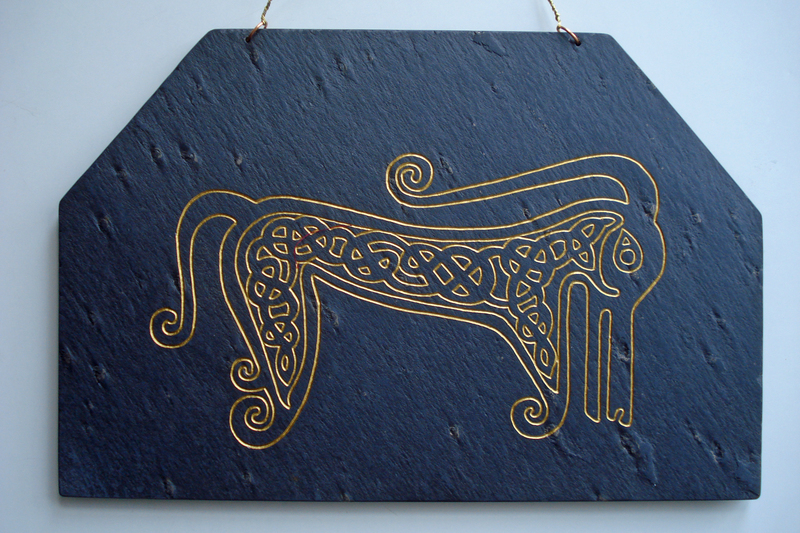 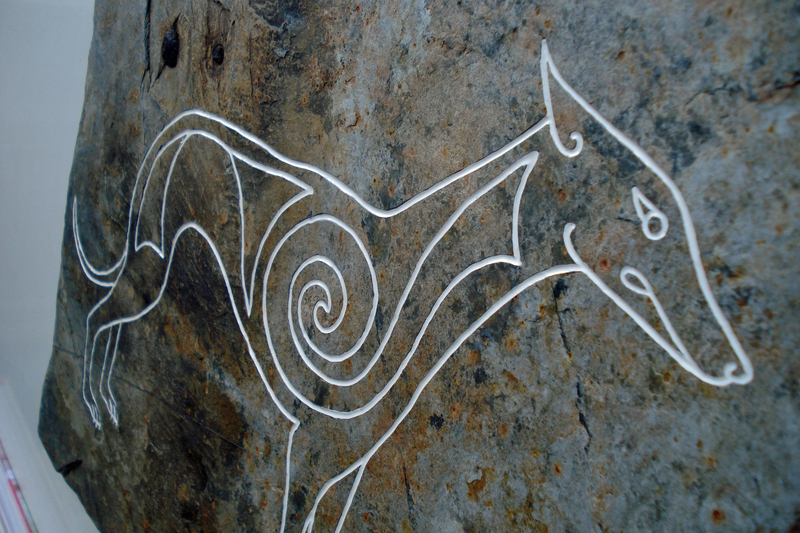 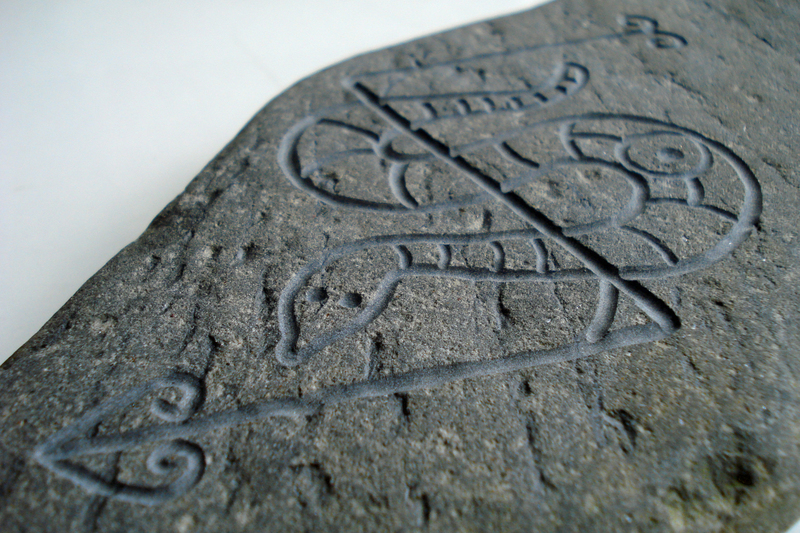 This particular Pictish ‘beastie’ is found on Rodney’s Stone, which is located close to the entrance of Brodie Castle, near Forres in Moray. 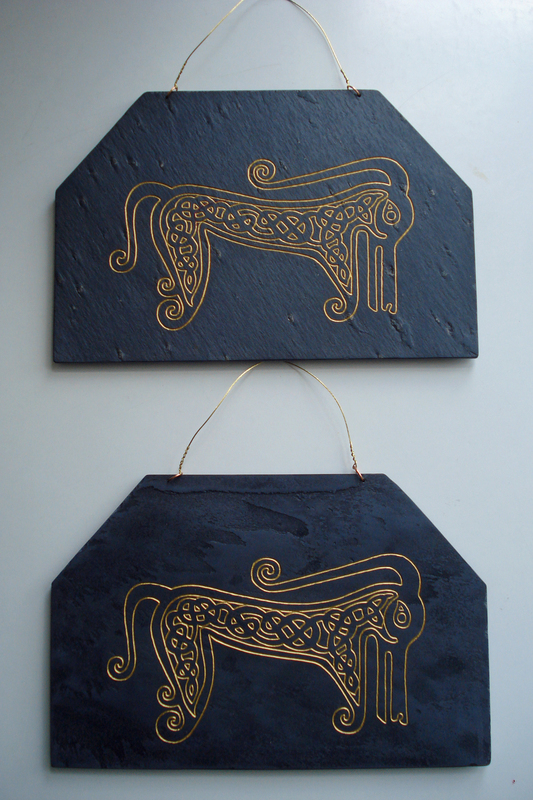 These two plaques were made for a recent commission. 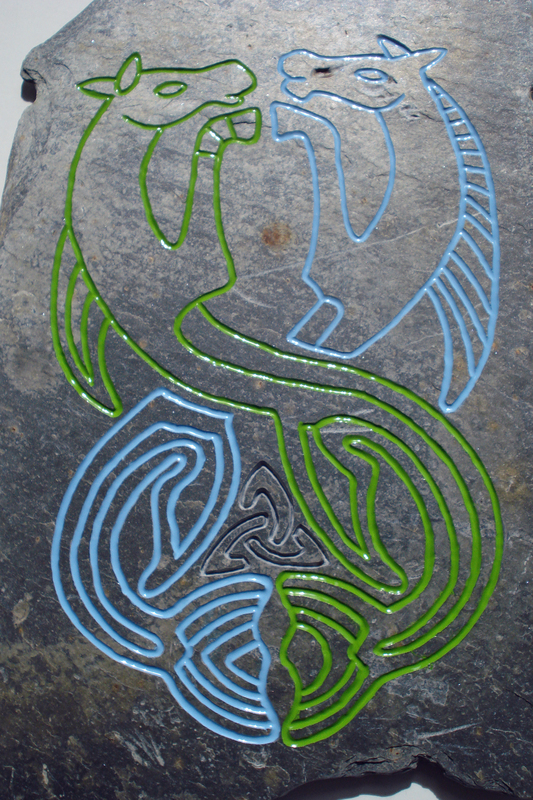 Freehand carved and enamelled, 30 x 20 cm. 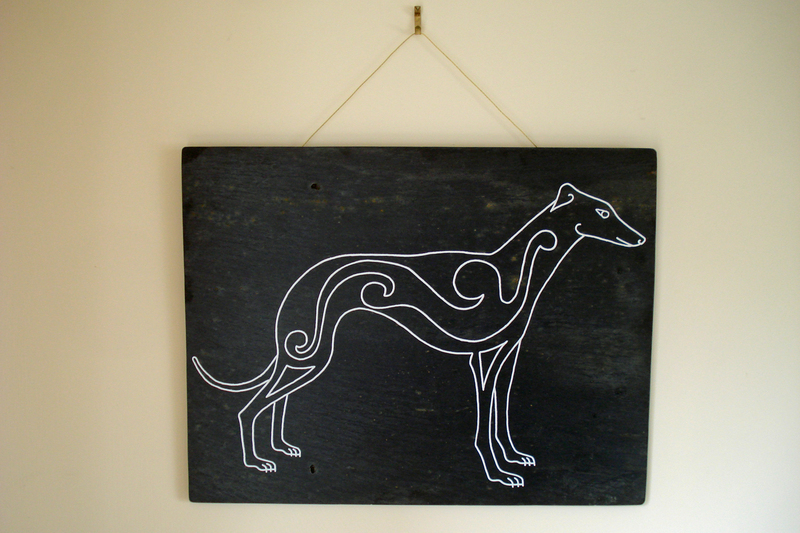 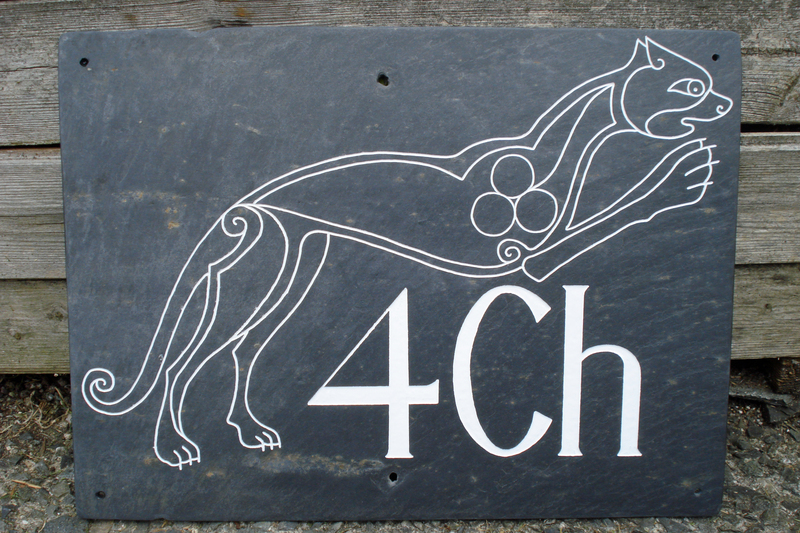 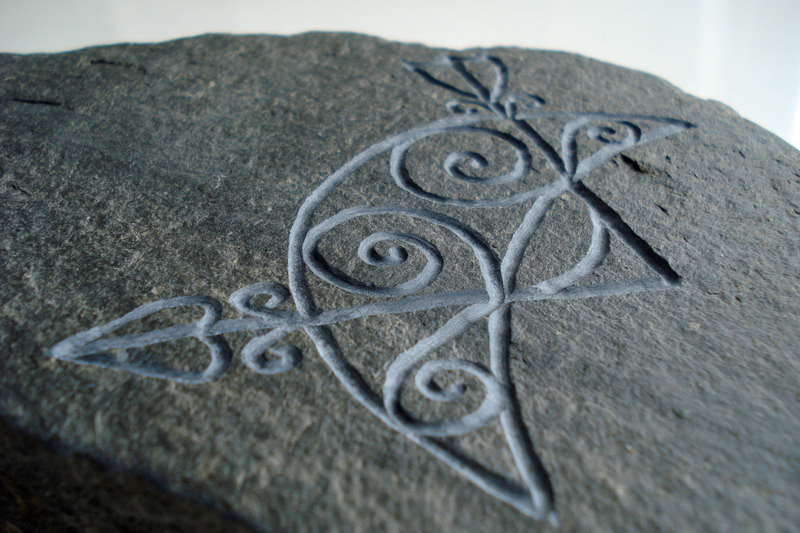 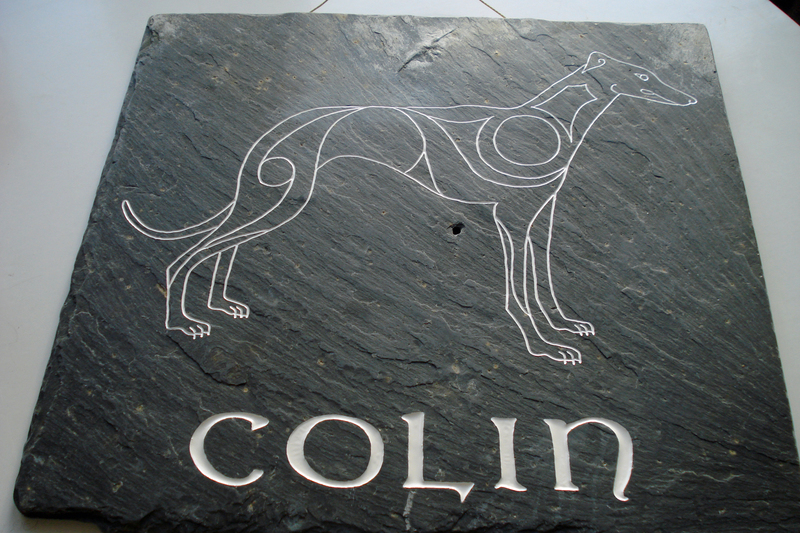 Hand carved from reclaimed Cornish slate. 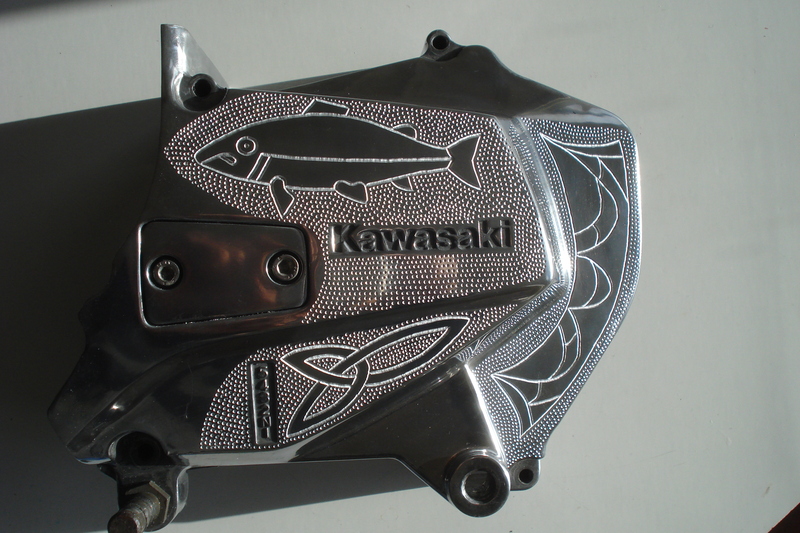 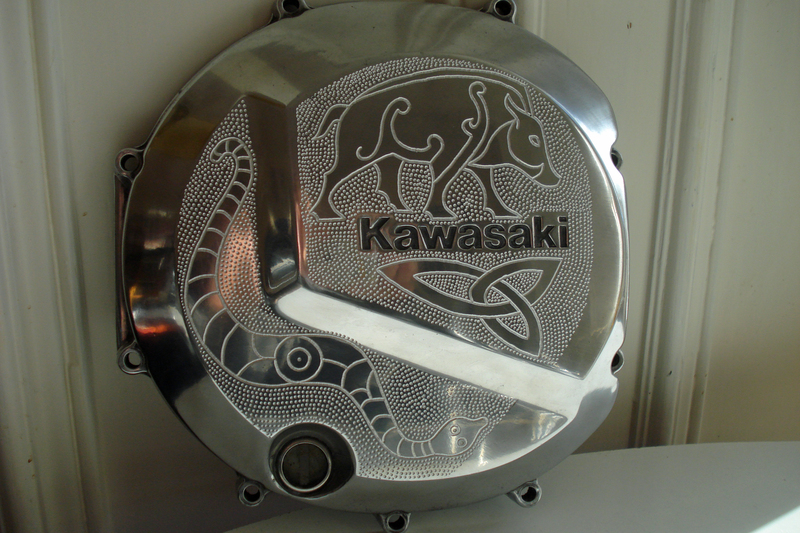 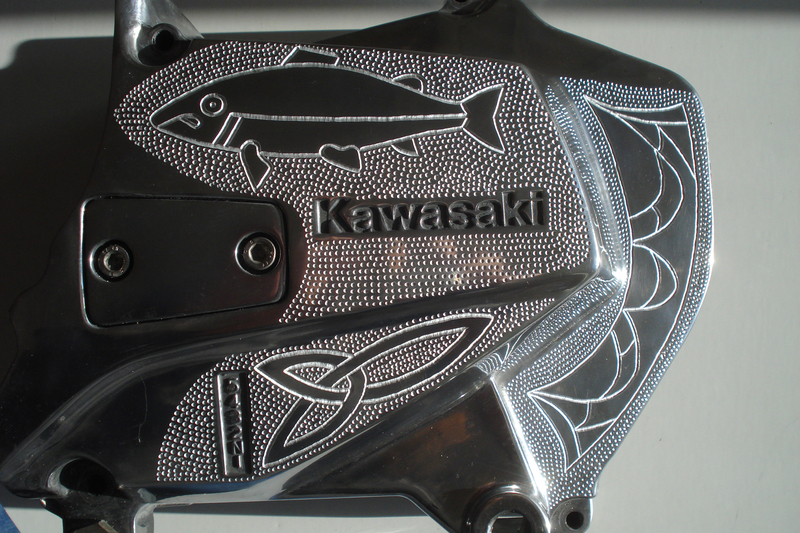 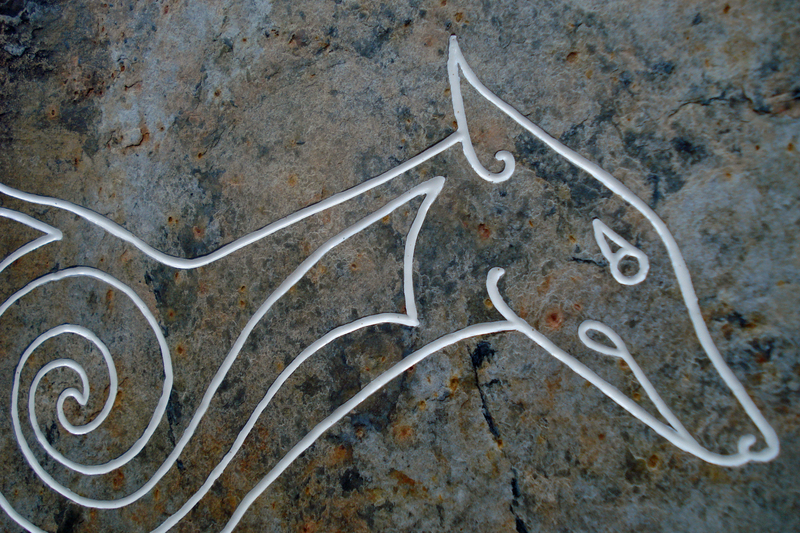 If you would like me to design and carve one of these, message me here or email hatchburncarve@yahoo.co.uk. 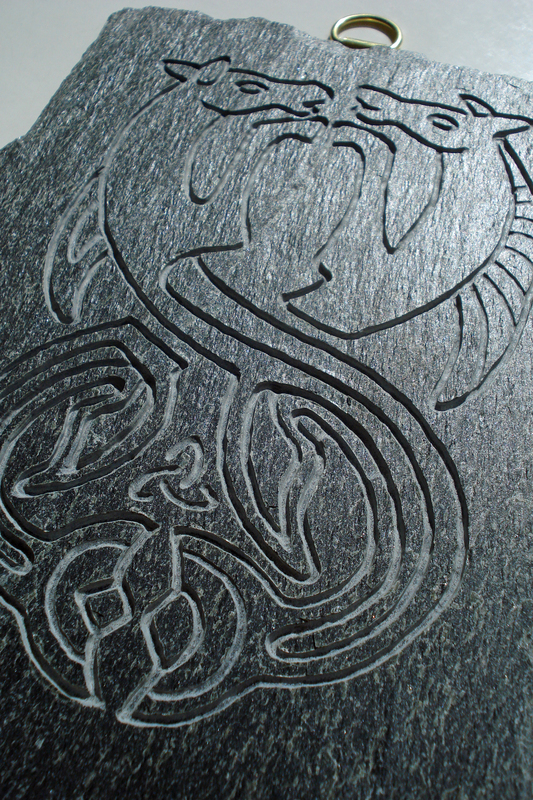 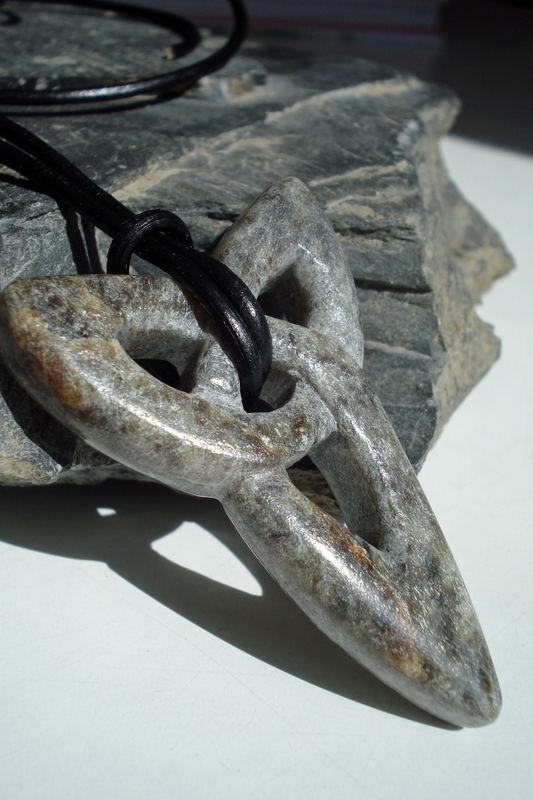 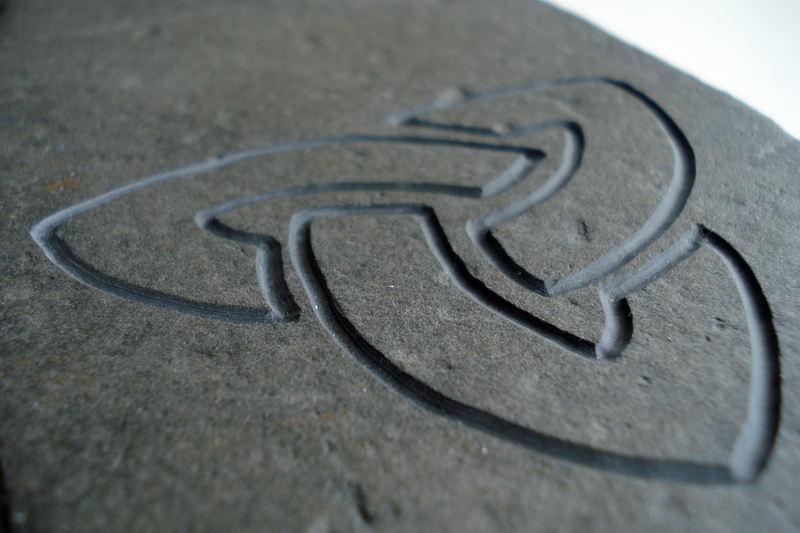 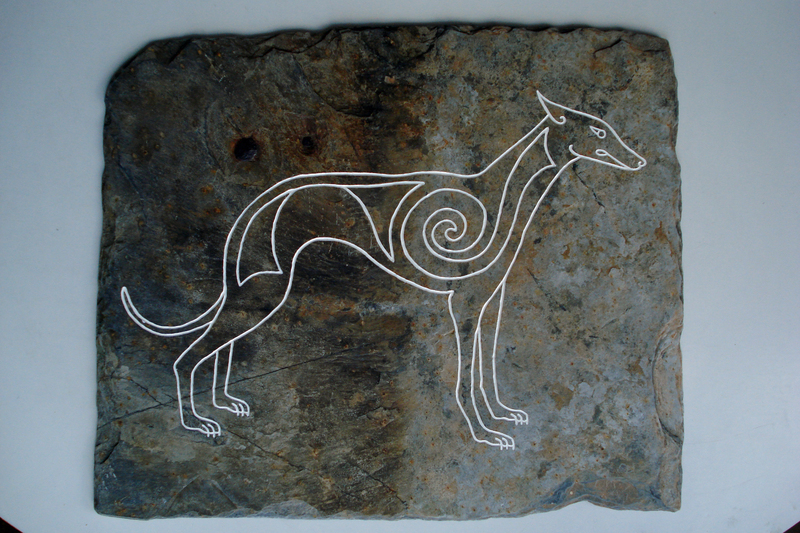 It makes a change working with softer stone and soapstone is a delight to carve! 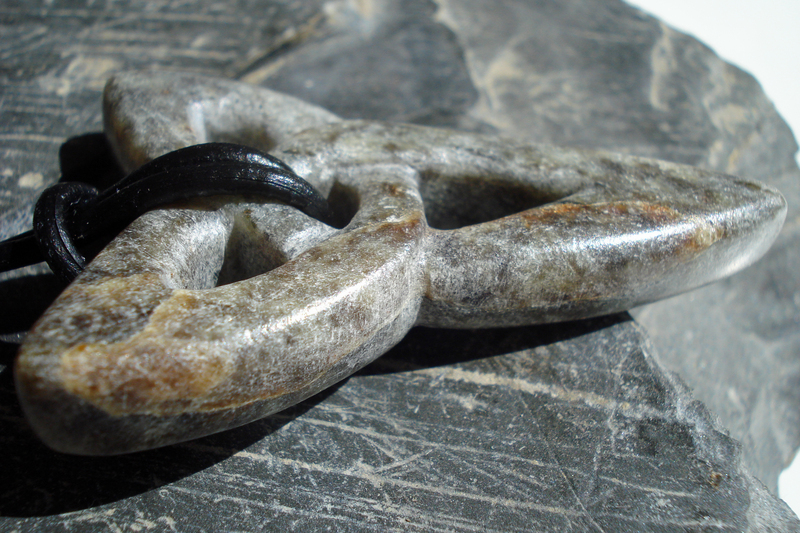 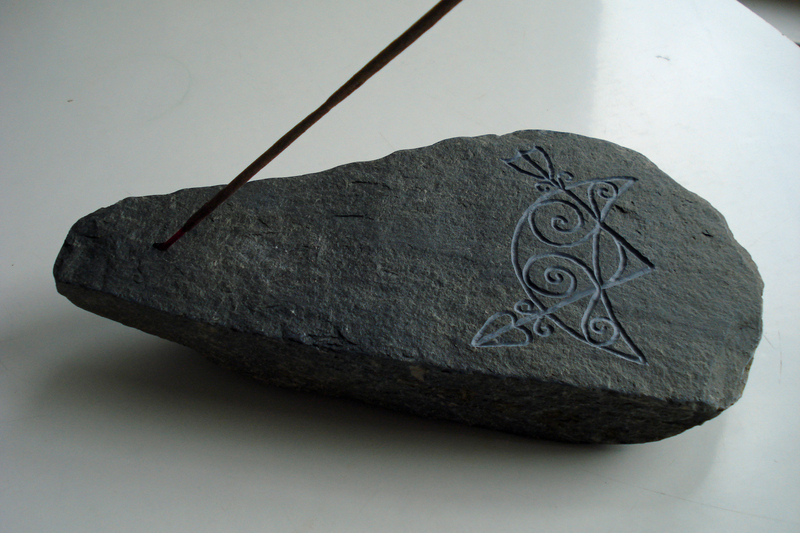 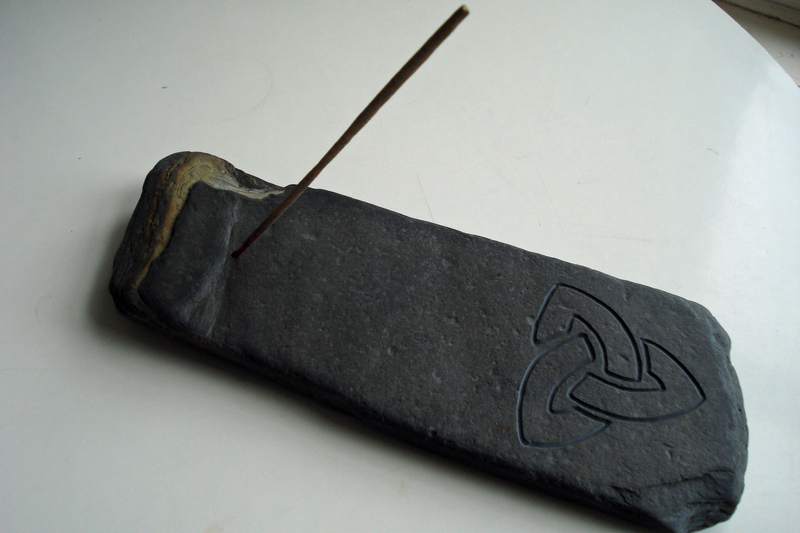 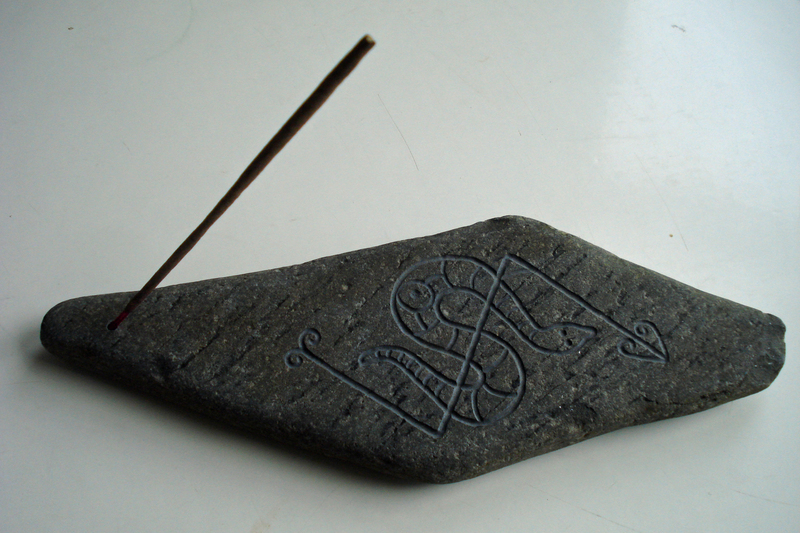 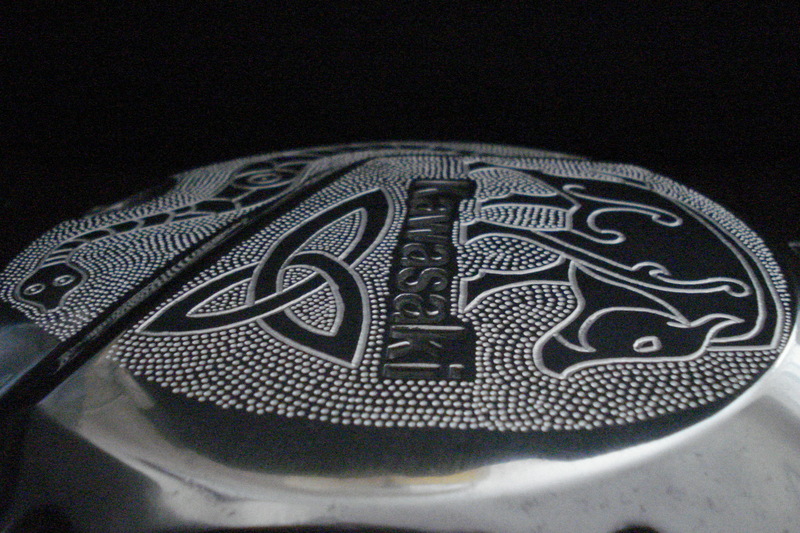 This was a commission piece- hand carved and hand polished from a block of American soapstone. 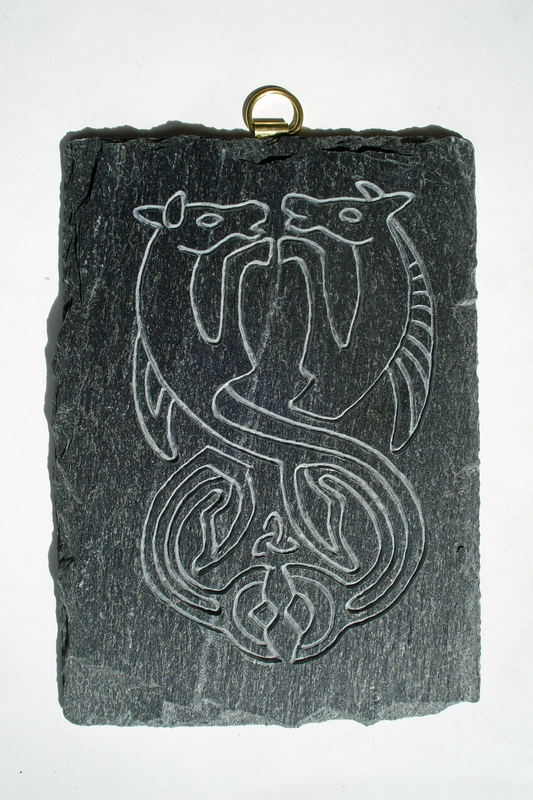 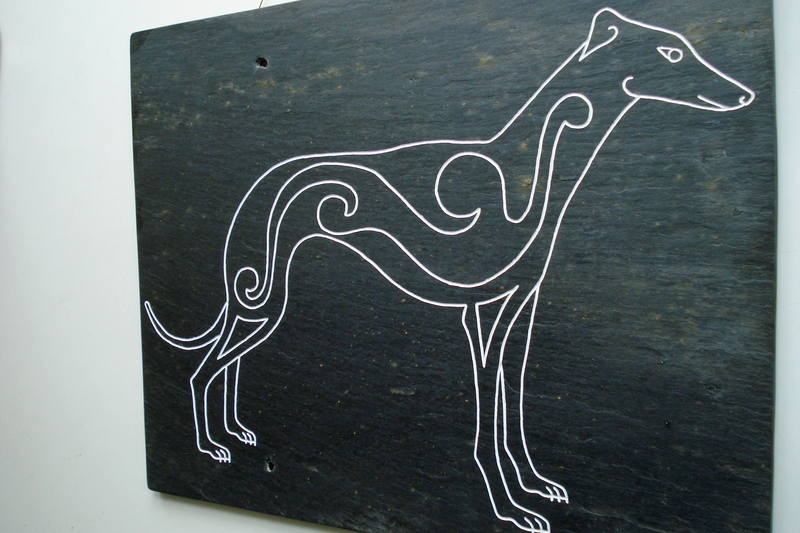 Hand carved from (an approximately 300 year old) Cornish roof slate. 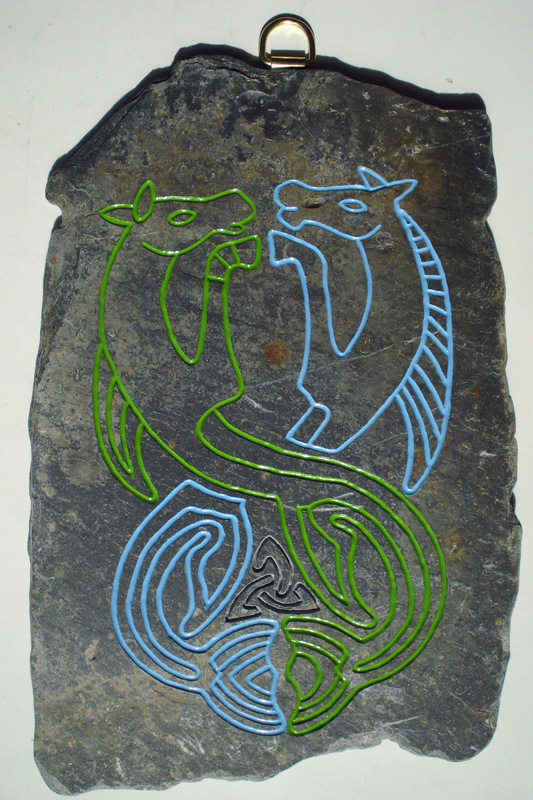 Then hand enamelled in two colours.